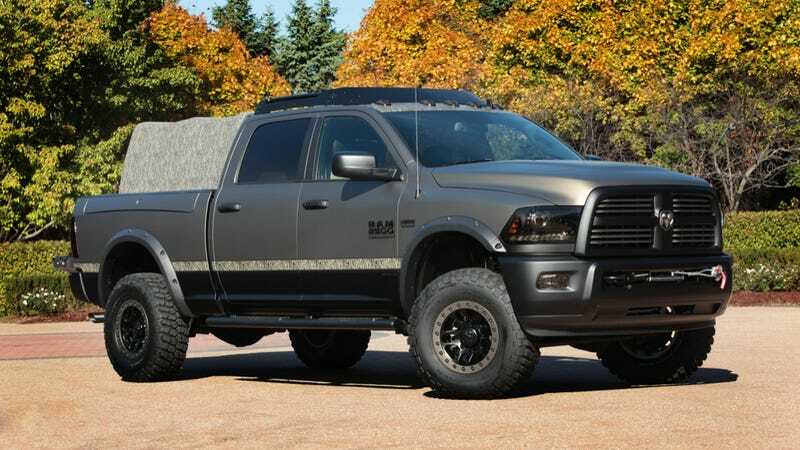 Chrysler kept their Ram 2500 for SEMA pretty conservative, but I'm completely in love with the color. It's kind of a perfect medium between looking tough and subtle, with a hint of military utilitarianism. Can't imagine a modern truck this wouldn't look good on. The fact that they've creatively named it "Swamp Thing Green" is pretty righteous too. What do you think?